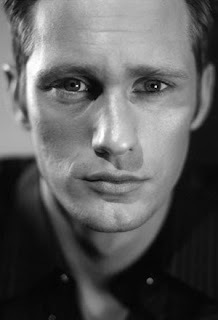 as some know, I am a big fan of the show "True Blood," and that is partly to Alexander Skarsgard. His name name is supposed to have a little circle above one of the letters, but he needs to drop that now that his in America. Skarsgard really adds a lot to the show, and after all he is SWEDISH. 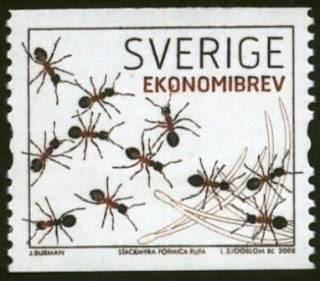 Now, enjoy this stamp of Swedish Ants. QATFYG: How many ants do you really think there are in Sweden? I will tell you next Wed.
Pro-tip: All the ants in Europe are imported. HA! trick questions. there is a hidden ant underground. another qatfyg: why is there a pile of wishbones in the corner? It's like the ant version of Heart of Darkness.